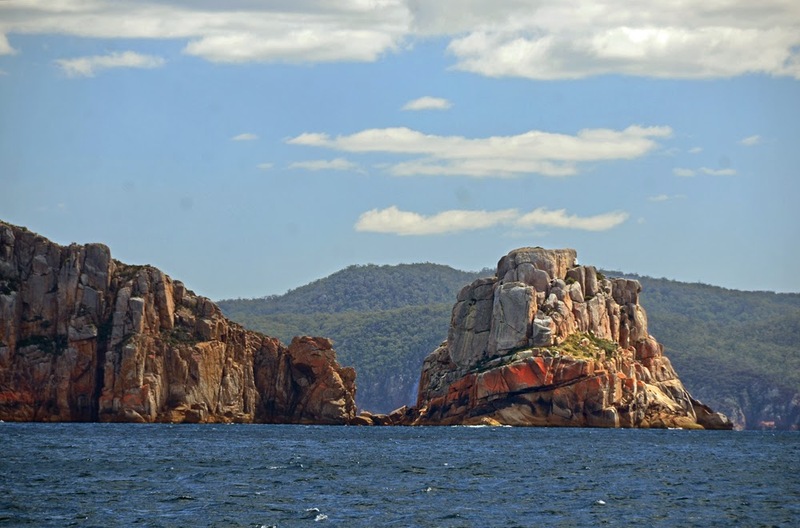 From Hobart MrJ and I sailed out of the Derwent River, out into Storm Bay, then out around the magnificent Cape Raoul, on up the east coast and into the World Heritage-listed Port Arthur Historic Site, which are both part of the Tasman National Park. 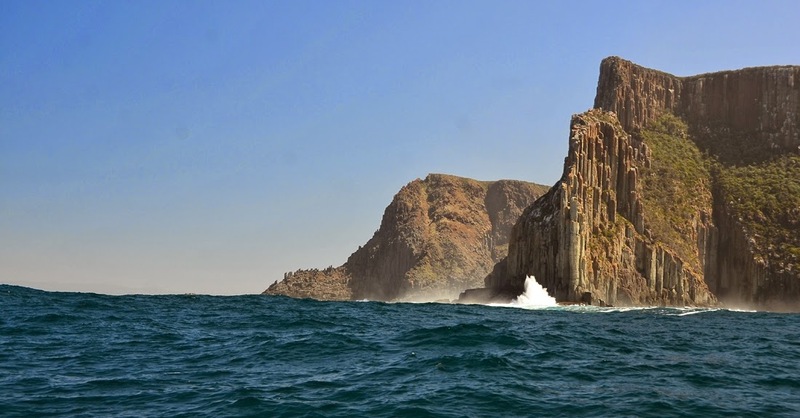 the Iron Pot, the oldest lighthouse in Australia, is off Cape Direction as you enter Storm Bay from the north. Iron Pot Lighthouse is significant for several reasons.It was the first lighthouse built in Tasmania, it is the second oldest lighthouse built in Australia, it is the oldest original tower in Australia, it was the first to utilise a locally made optic, and was the first Australian lighthouse to use solar power. The swell lifted as we were approaching Cape Raoul, a 300-metre high cliff; MrJ was trying to get in as close as possible so that we could get some good photo of the towering rock formations that were the end of the cape. We also had to content with the rebound off the magnificent cliff faces. I had one hand tightly clinging to the boat and the other hand was firmly gripped to my camera as I balanced on the bouncing side deck dodging sea spray and hoping that at least one of my photos would turn out. Such dramatic beauty! Cape Raoul is one of the most spectacular basalt-pillared promontories on the rugged coastline of the Tasman Peninsula, if not Australia. 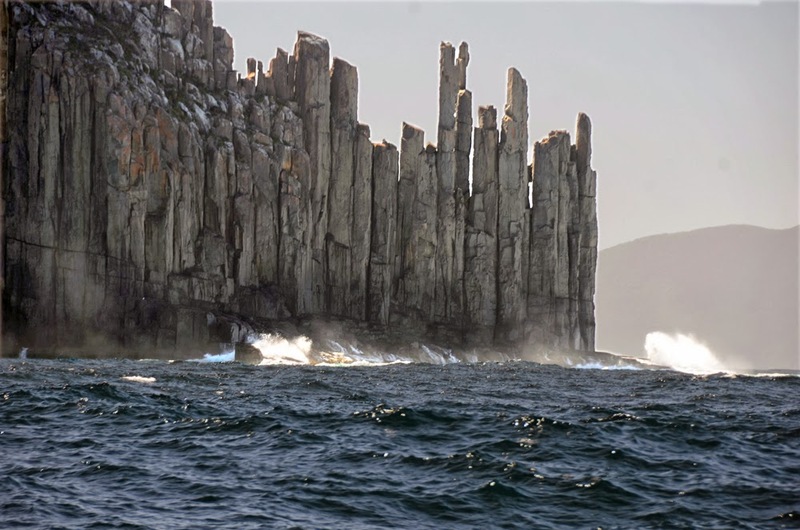 The dolerite columns at the end of the Cape were used for target practice by the British Navy during World War 1 and as a result it is a little more rugged than it would otherwise be. 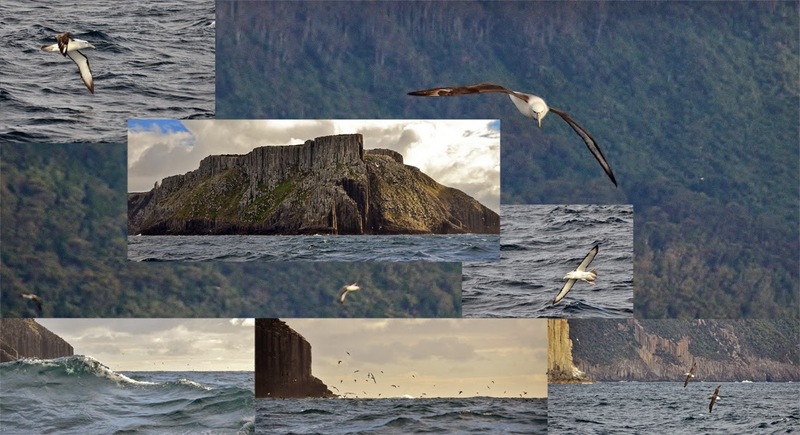 The place is pretty amazing; soaring sea cliffs and monumental rock formations - rock platforms, towering columns, plunging cliffs and swirling oceans. The spectacular dolerite columns and cliffs at the southern end of the Tasman National Park are popular for climbing and abseiling. 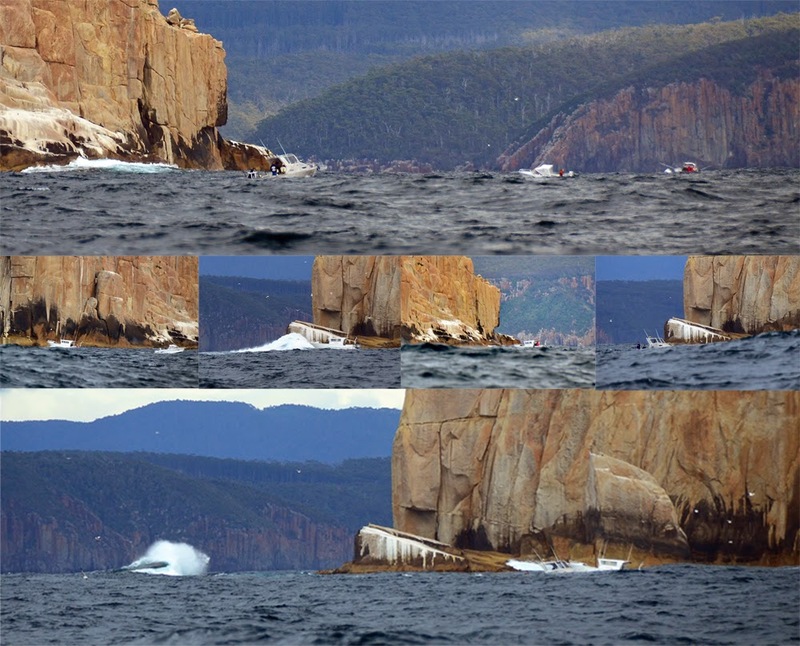 Sea stacks north of Fortescue Bay, the Candlestick and Totem Pole at Cape Hauy http://www.lostateminor.com/2014/02/03/daredevil-climbers-take-tasmanias-200ft-totem-pole/ as well as the drops around Mount Brown are used by individual climbers and abseilers as well as tour groups. MrJ and I rounded the beautiful Cape Raoul and headed for the Port Arthur entrance. 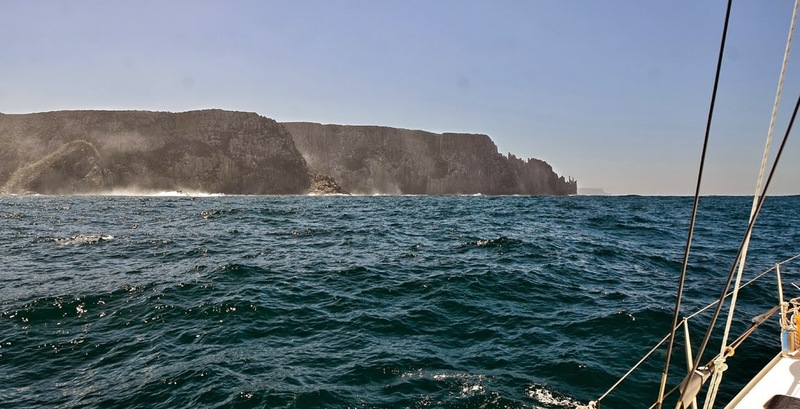 On approach to the historic penal colony site in Mason Cove we passed by The Isle of the Dead on our port side then headed a little further south, just past Commandants Point to drop anchor in Carnarvon Bay. I was totally surprise by all the boat moorings in Mason Cove not giving me that sense of past that I had once felt on my first visit to Port Arthur some 15years before. The Isle of the Dead is located in the harbour off Port Arthur. Between 1833 and 1877 around one thousand burials took place there. The Island of the Dead was the destination for all who died inside the prison camps. The island was originally name Opossum Island after a vessel, the Opossum, sought shelter near the island in 1827. 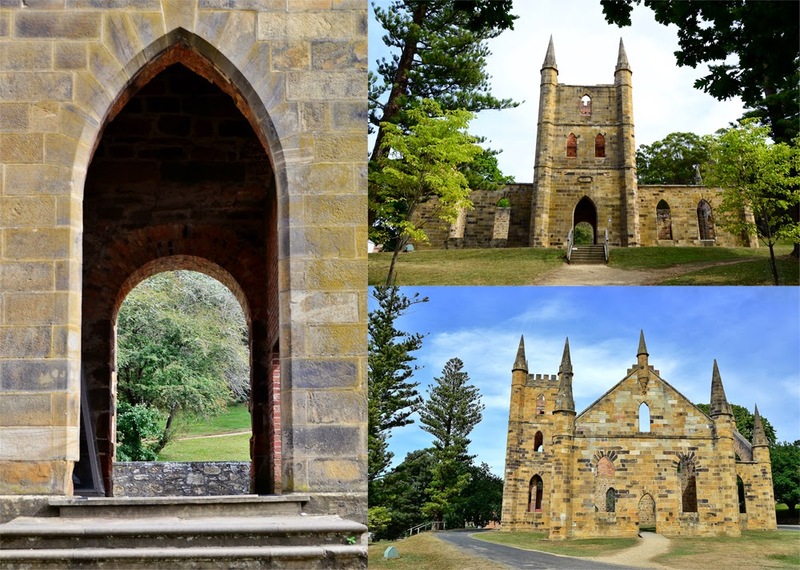 It became the burial place for Port Arthur in 1831 (only months after the establishment of the settlement) and almost immediately was divided into free settler and convict burial grounds. At this time it was known simply as Dead Island. The weather had taken a sour turn, overcast and beginning to drizzle with rain. This was a good chance to stay wrapped up inside and get some writing done. No rest for the wicked as the saying goes; the wind was turning to the north which meant that we had to change anchorage late in the day. 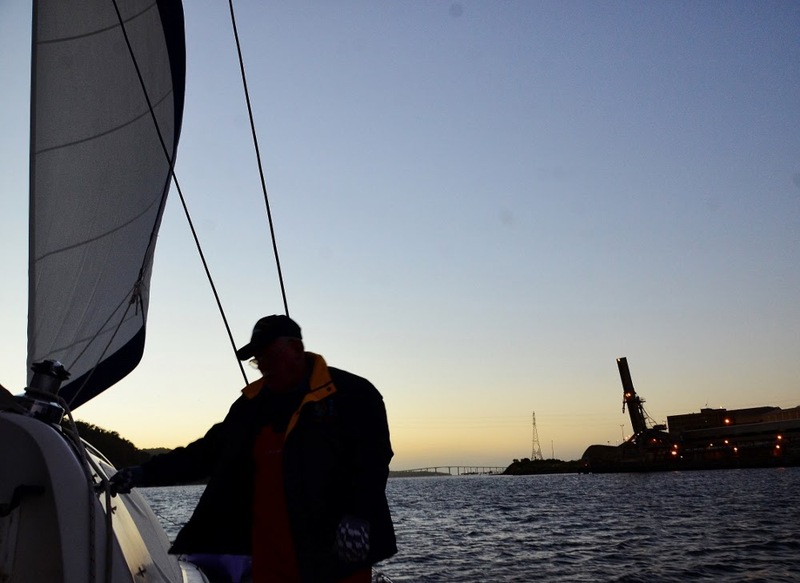 It was just before dark in our new anchorage, Stewarts Bay, around Fryingpan Point to the north that the anchor winch died and it was not going to recover. Buggar! 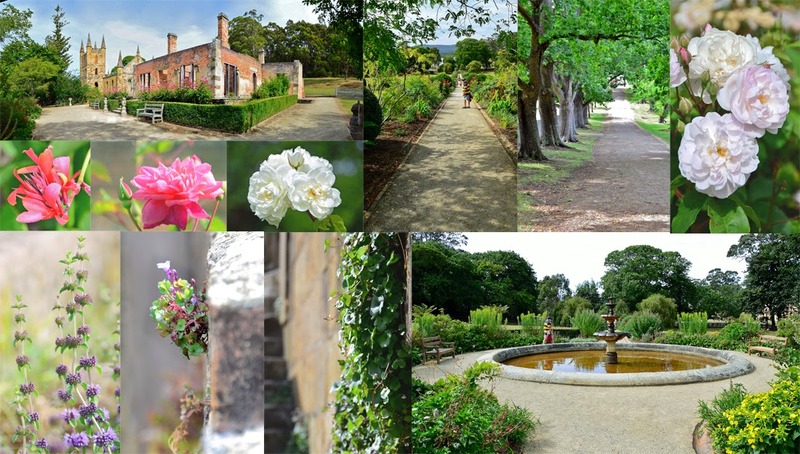 Firstly MrJ and I went ashore and took the long walk through a resort complex (uphill and down dale) to the grounds of the Port Arthur penal colony ruins. Secondly, upon our return, by the shorter route, along the road and through the campground we attempted to fix the anchor winch motor but to no avail. It was beyond resurrection. 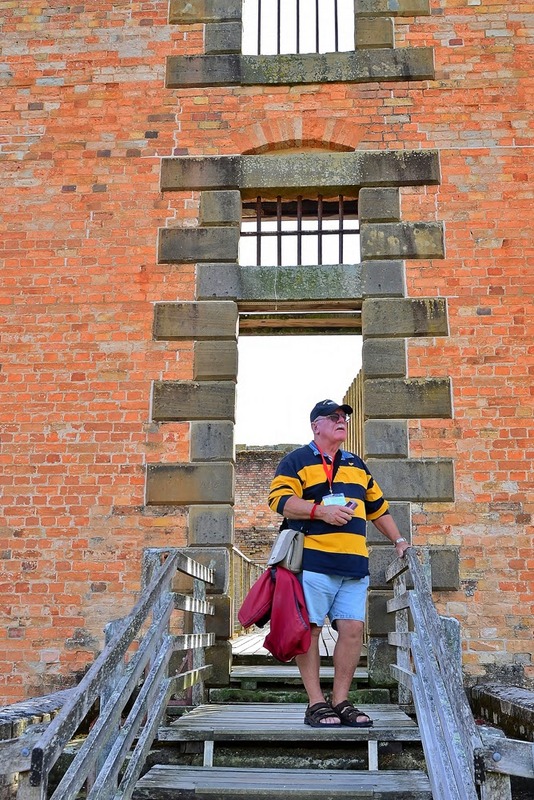 World Heritage-listed Port Arthur Historic Site is one of the best-preserved convict settlements in Australia and among the most significant convict era sites in the world. 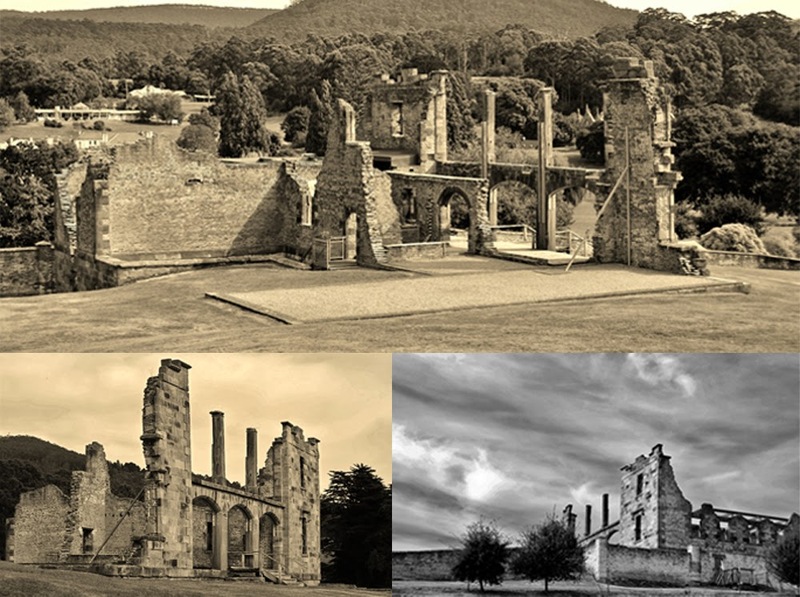 Port Arthur was established in the 1830s as a penal settlement and remains a physical chronicle of a dramatic part of Australia's history, an open air museum. 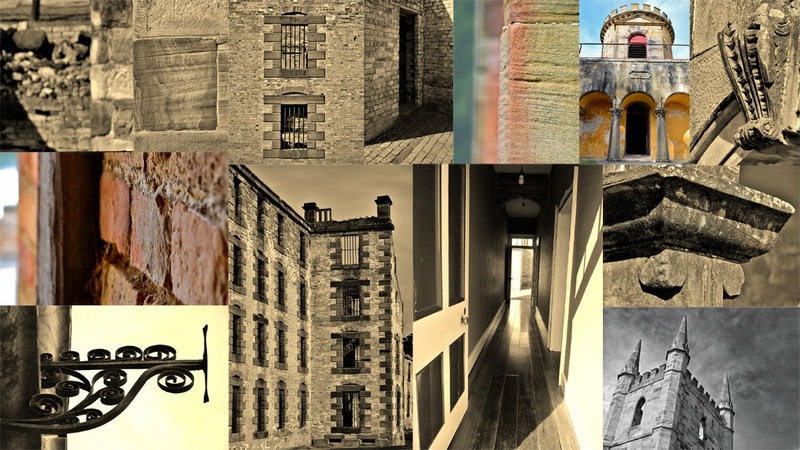 A brutal penal colony located on the Tasman Peninsula, Port Arthur was home for many of Australia's early convicts. It was here that many transported and re-offending convicts spent their days. Its isolation and formidable geography gave it a feared reputation. After transportation of convicts ended, the buildings were used for many years to accommodate convict invalids, paupers and 'lunatics'. The site has continued to evolve through phases of significant development, decline and change, bushfires, demolitions, constructions, major landscape alterations and restoration work. 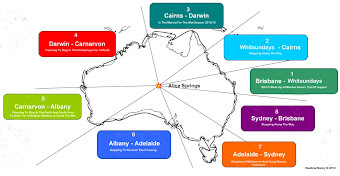 The buildings, ruins and other site features that remain today are now a major tourist attraction and Australia's most vivid and well-known reminder of its convict beginnings. The Hospital was made up of wards, kitchen, baking room, laundry and morgue. 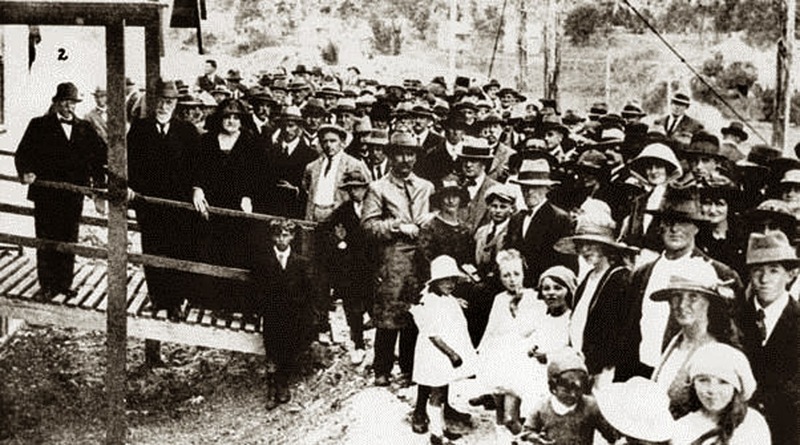 As the convicts of Port Arthur worked in heavy industries such as timber-getting, accident victims at the hospital were common. The hospital was staffed by a doctor and a number of untrained convict orderlies. In the 1890s, the hospital building was sold to the Catholic Church, but was unfortunately burnt in the 1895 and 1897 fires. The tragic death of 35 people at a gunman's hand in 1996 added another emotionally powerful layer to the history of the place and gave it a new national significance as the place that led to Australia's tightened gun laws. 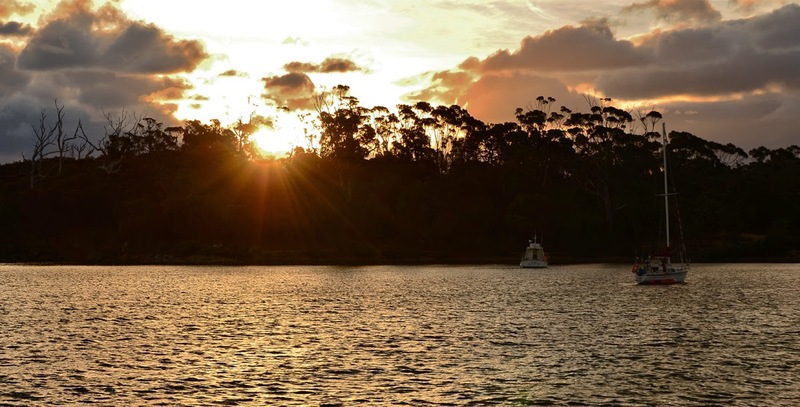 Hundreds of thousands of visitors each year are drawn to experience the once brutal penal settlement, which sits quietly on the Tasman Peninsula surrounded by verdant lawns and English oaks. But I didn’t experience that tragic overwhelming emotional feeling like on my first visit. Maybe because I had been before or maybe it was the extent of the commercial side (a major tourist attraction) that greeted me from the start. Who knows! I still think Port Arthur is beautiful and darkly tragic. Another impressive building in the complex is the church which stands on the hill next to the Government Cottage looking down across Masons Cove towards the Isle of the Dead. 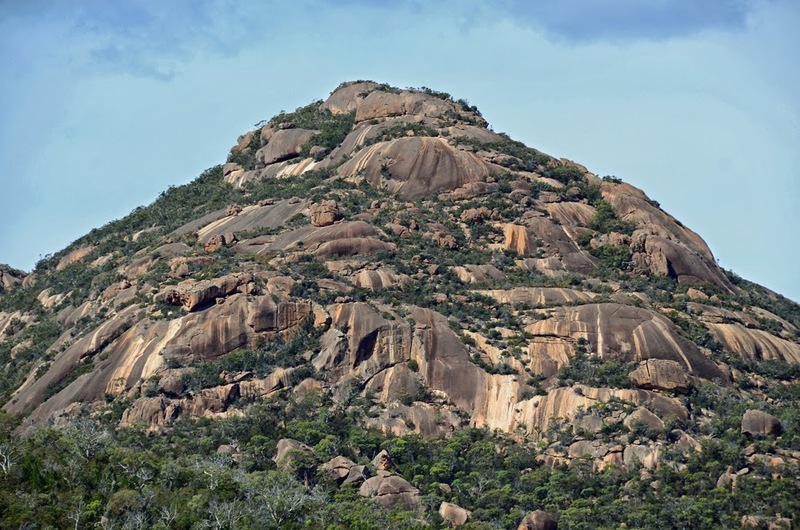 This famous landmark was built around 1836-37 and was probably based on a design by the Deputy Commissariat Officer, Thomas Lempriere, and the convict architect, Henry Laing. It was never named nor consecrated. Next to the Commandant's House is the Guard Tower and Military Complex, perhaps the most architecturally sophisticated building at Port Arthur. This building, now in ruins, was the third military complex built at the colony. The first, a timber building, was replaced in 1841 by a brick structure which, in turn, was replaced by this two storey barracks which was completed in 1847. The most prominent remnant of a building is the Guard Tower which was built in 1836 with stones specially shaped by the teenage convicts at Point Puer. At first light MrJ and I quietly slipped ALANA ROSE quietly out of Port Arthur, past The Isle of the Dead, saying our sad farewells to the ghosts and the memories of this god-forsaken institution. After MrJ manually hand levered 45 metres of chain in we were sailing for an anchorage on Maria Island. 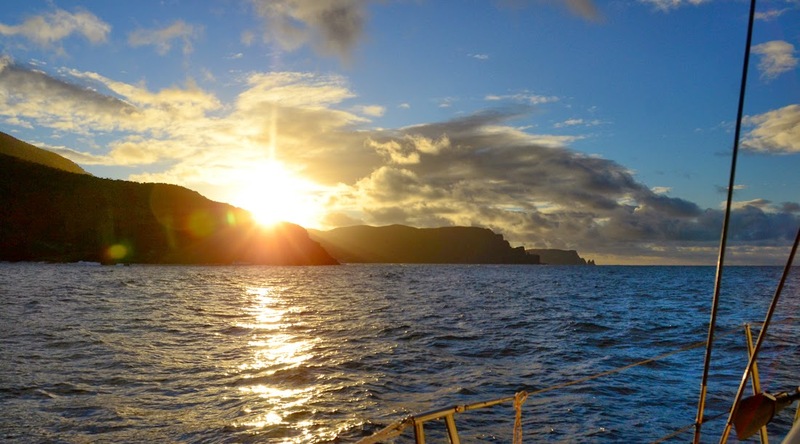 After leaving Port Arthur we motor-sailed around the headlands of Tasman Island, Tasman Peninsula, Cape Pillar and Cathedral Rock. ; another incredible sight, a coastal wilderness of unspoiled coastline. I saw soaring cliffs, pillars of rock and misty sea spray through early morning golden sun light. The Tasman Peninsula is well known for its rugged eastern coastline. 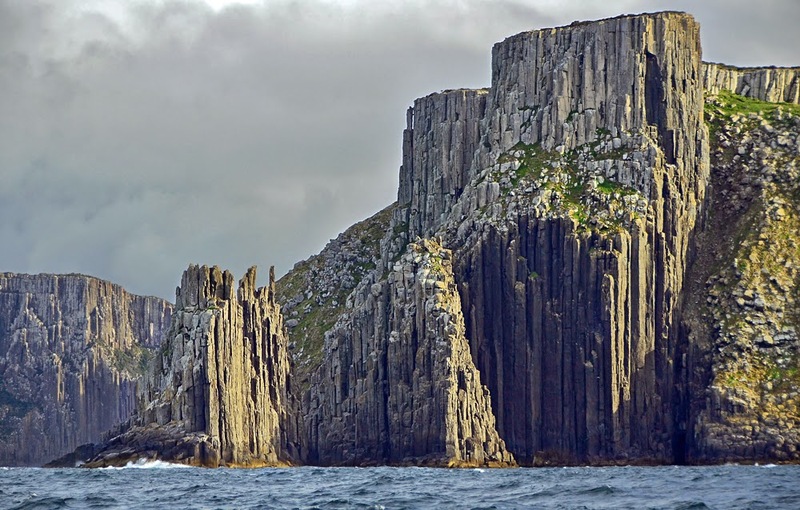 It can lay claim to the highest sea cliffs in the southern hemisphere, rising 300 m (980 ft) above the Tasman Sea, the spectacular dolerite cliffs at Cape Pillar and towering sea stacks such as Cathedral Rock, the Totem Pole and Candlestick. Here I was witnessing the tremendous erosive power of Mother Nature. 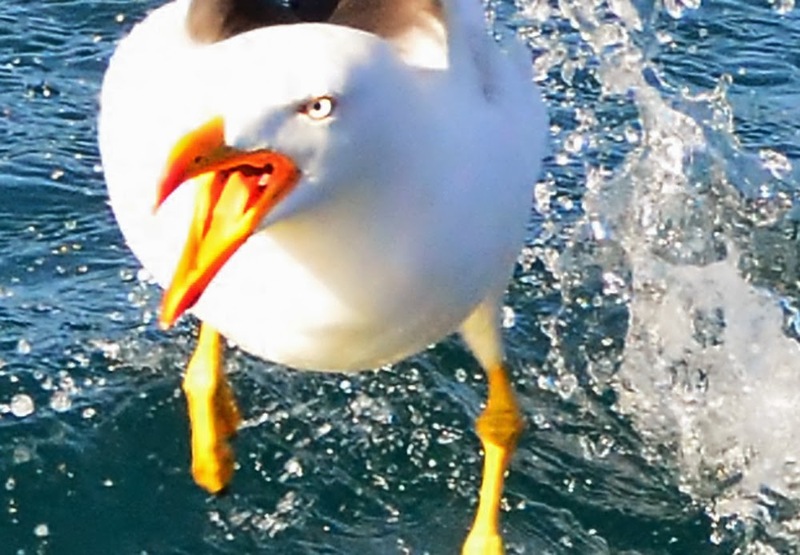 Tasman Island is one of the great landmarks of the Southern Ocean. It is an iconic turning point for the Sydney to Hobart yacht racing people as they power down into the southern seas each year to glory. The Sydney to Hobart Yacht Race, held between Boxing Day and New Years, is one of the top three offshore yacht races in the world. 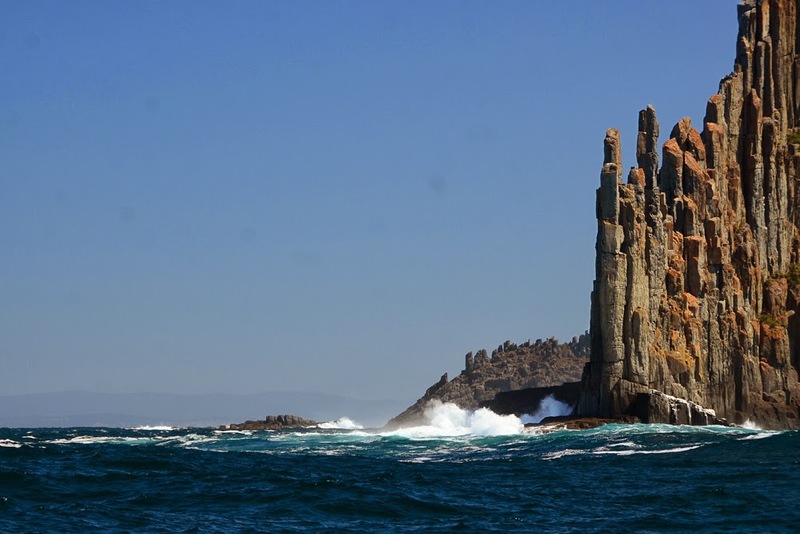 The Tasman Island Lighthouse was built in 1906, is one of the highest in Australia. 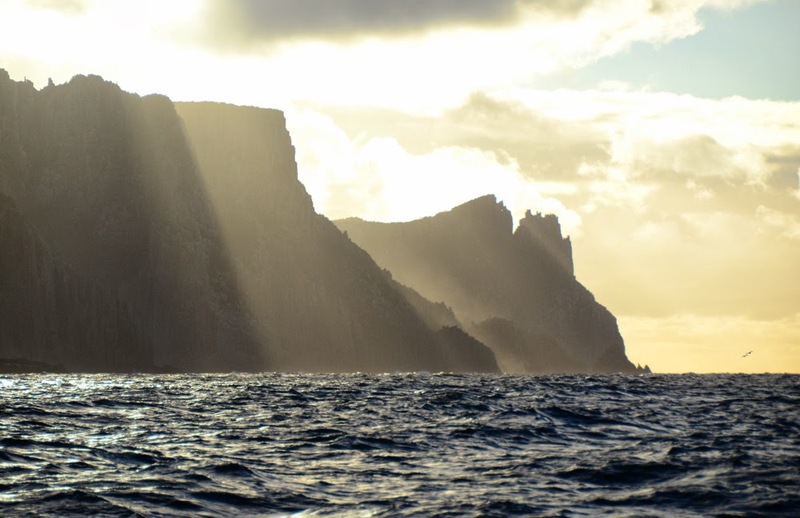 The light is sited on the highest point of Tasman Island and is known for the height, 250 metres, and steepness of its cliffs. When the light was first established, the winds were so fierce that the steel tower would shudder, fracturing the lamps mantles and putting the light out. It is constructed of cast-iron plates, circular in section, bolted together and positioned on a concrete base 26 metres in diameter. The keepers' cottages also built in 1906 are solid brick. Sheds for wood and coal etc were all joined under the same roof as the cottage for protection from the fierce weather that frequents the island in winter. 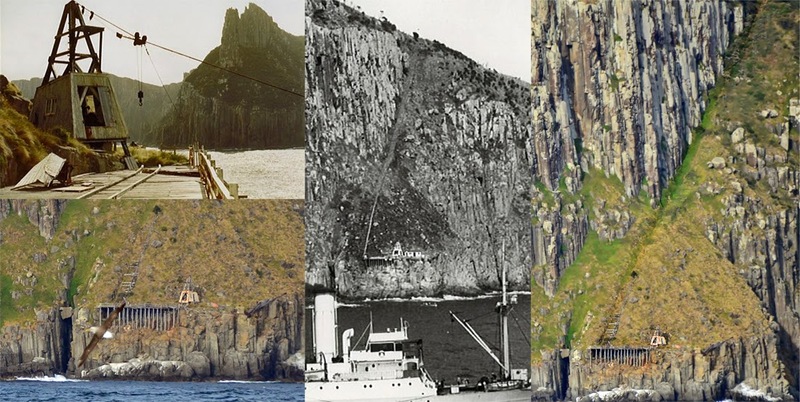 Tasman Island is one of the two most isolated light stations in Australia, and for that reason, was extremely unpopular with all keepers. Once thickly forested, it is now almost bare as the result of the cutting of trees for firewood and of two severe fires. At Tasman Island in South-eastern Tasmania light keepers' stores and other goods have to be transferred from the lighthouse steamer to a launch which conveys them to a flying fox (a conveyor suspended from an overhead wire). The flying fox extends for some hundreds of feet from a rock about twenty-five feet above sea level to a ledge on the island about a hundred feet above the sea. From there the goods are hauled by an engine-driven winch along a steep tramline up a cliff to an elevation of about 700 feet. Thence they are transferred to a horse-drawn tramway which takes them on the final stage to the lighthouse, situated about 700 feet above sea level. 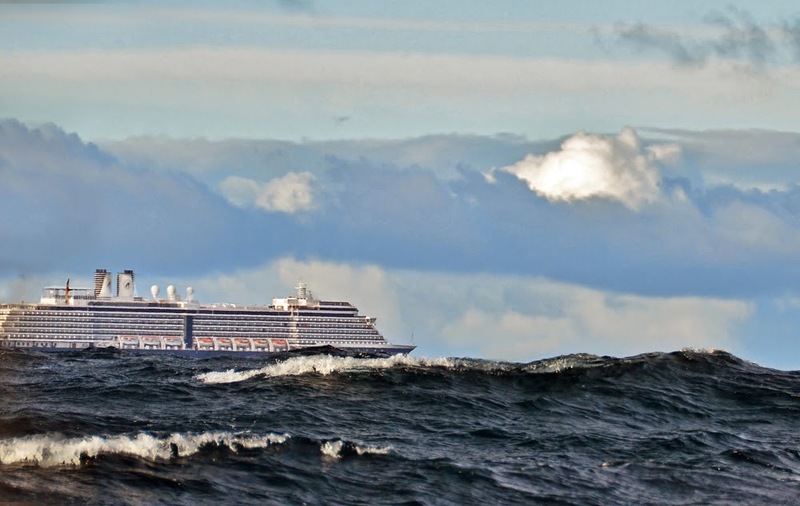 Often supply vessels would have to make repeated attempts to land supplies due to inclement weather. The other point of access to the island was the Zigzag, named for the access path down the cliffs. It was used for by small boats for landing the mail, urgent supplies and medical assistance. Pigeons were used for the first 20 years for emergency messages. Fencing surrounded the lighthouse and keepers' complex to protect stock and small children from it's dangerous sheer cliffs. Stock used to disappear down the various holes and caves that dotted the island, never to be seen again. Keepers had to very self-sufficient; they kept good gardens of both vegetables and flowers on island's the fertile soil, they yarded, sheared and slaughtered sheep, cut and sledded wood. Meat was supplemented at mutton-birding time and goats were kept by some families in addition to their quota of sheep and cattle both to provide an alternative milk supply. The station suffered severely from storms, on one occasion, in 1919, seeing verandas and fences being blown away, water tanks blown off their stands, and the shifting of out buildings off their foundations. The winds were so strong that the vibrations in the lantern room destroyed five mantles and two pounds of mercury jumped out of the race and had to be replaced. 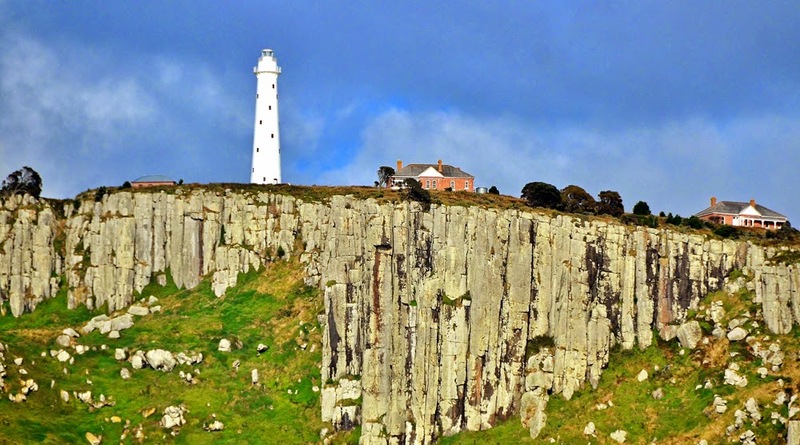 Problems were encountered in the early days with the lamp mantle fracturing from the degree of swaying at the top of the tower due to the winds and its high elevation. On the night of 20 March 1907, the log reads: The tower vibrated to such an extent that it shook the mantles to pieces; had to substitute the wick-burner at 2a.m. When first established the windows in the tower were found not to be waterproof and flooded during severe storms. This was rectified by re-puttying the gaps. Even though coal was supplied to keepers for domestic use the shortfall was made up at first by collecting dead wood, but later cutting down live trees. After 50 years this lead to the denuding of the island with disastrous effects for the complex. Superintendent Kirkwood in 1913 noted: In my opinion the cutting of firewood, denuding the station of timber, is detrimental to the quarters and outhouses. Towards the end of the year he wrote again: Blew a gale last night - fierce squalls, smashed up more fencing Superintendent's quarters. The effects of denuding the island for a fuel supply. MrJ and I arrived at the Chinamans Bay anchorage Maria Island in the early afternoon to find two other yachts already there. Chinamans Bay was a comfortable anchorage protecting us from the westerly winds and the SW waves that came up the channel. Maria Island is its own national park. 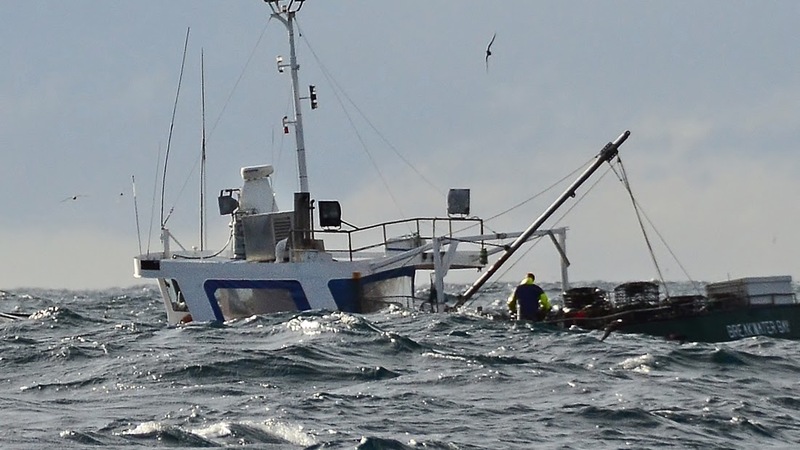 Set just off the East Coast of Tasmania and is easily accessed by a ferry service. 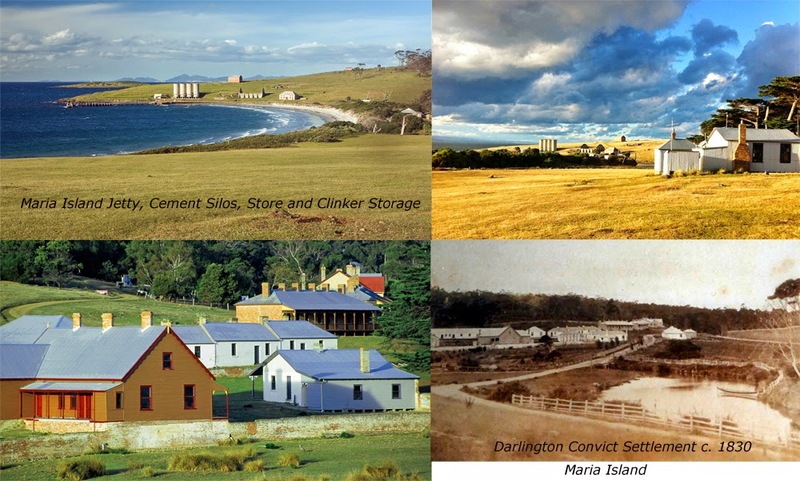 Maria Island also housed a penal colony at Darlington. World Heritage Listed Darlington Probation Station is the most representative and intact example of a probation station in Australia. 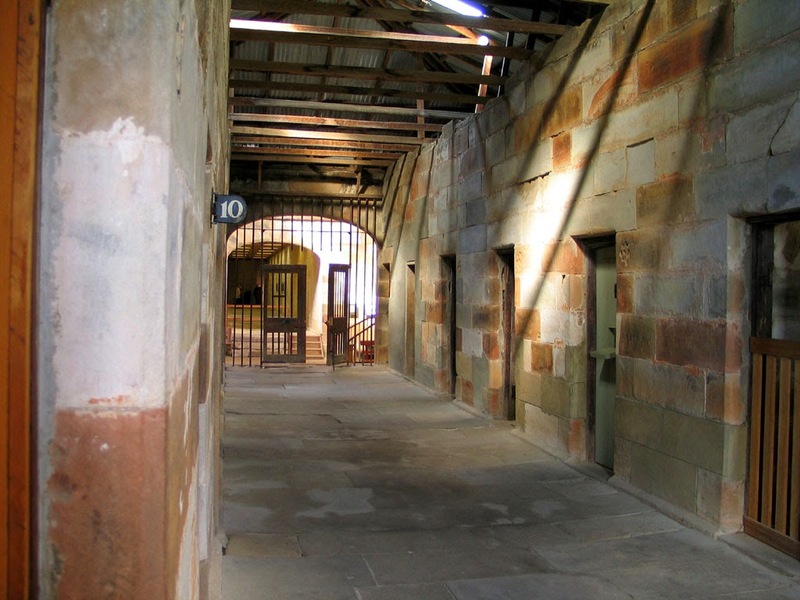 Its 14 convict buildings and ruins are preserved in a layout that reflects the key features of the probation system in Van Diemen’s Land. The site has remained relatively unchanged since the convict era. We were underway just after first light to motor-sail through Schouten Passage, pausing for a short time to investigate the anchorages that we will have to return to after our night in Wineglass Bay. To enter Wineglass Bay we had to pass by the majestic Hazards, the Hazards Mountain Range in the Hazards National Park on the Freycinet Peninsula which is another major tourist attraction for Tasmania. Wineglass Bay was not the isolated anchorage that I thought it would be. There were four other boats besides AR, a large motorboat, a yellow Easy design catamaran, a trimaran and a small monohull with an old fella on board, anchored in the bay and a dozen or so people on the beach who had walked in from the top car park. Nowhere in Tasmanian, in the places that we have been has there been no one. It must be a sign of the modern times, the tourist times where more people are out and about exploring the world. The fellas from the motor boats had been out fishing for most of the day and upon their return dropped by and gave a couple of good sized flathead that MrJ and I had for dinner. How fresh was that! And how nice was that of those fellas! Late in the afternoon the wind changed to the NE and with that the boats all swung round to put us on a very close lee shore. Nancy was not comfortable...............! Thank goodness the winds backed off and we were able to get a good night’s sleep. The yellow catamaran moved next, helmed by another solo sailor. This fella firstly moved closer to the tri, obviously stopping to confer before he too sailed out without even a wave. 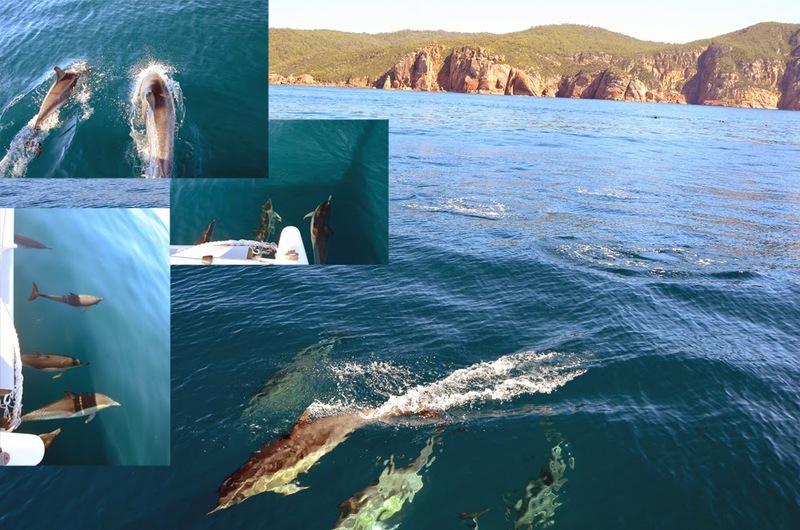 MrJ and I followed short after leaving the trimaran, a third solo sailor, to catch up much latter in the anchorage back through Schouten Passage, around the corner of the Freycinet Peninsula, in Passage Beach. Maybe all these three solo sailors were travelling together! I did certainly hope so, for the old fella’s sake! Passage Beach was a great anchorage for the strong NE winds and contrary to what the good book says, we had no problem anchoring and held firm all the time. AR and our fellow travellers form Wineglass Bay were soon joined by many more boats coming into the safe anchorage, either Passage Beach where we were or further inside in Bryans Corner. MrJ counted eleven boats anchored nearby. Early to bed and early to rise makes a man healthy, wealthy and wise! (As Benjamin Franklin once said) The next day we would be leaving for Flinders Island, the last of our Tasmanian stop-over’s.